The Regency Chess Company has become one of the worlds most specialist importers and retailers of chess pieces. 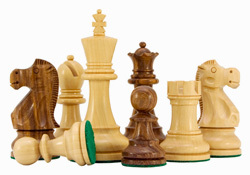 We import chessmen from the world's finest manufacturers of pieces and have created a range of products that should cater for everyone's taste and budget. Our range of chess pieces includes a huge selection of Staunton sets, the most iconic and popular set of chess pieces the world has ever known. 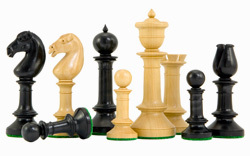 We stock both modern variants as well as antique reproductions of these famous chess pieces in a variety of woods including ebony, rosewood, sandalwood and boxwood.